AirAsia will be flying the Kuching – Tawau route starting 2nd December 2018 with promotional all-in-fare prices starting at RM79. The four-weekly flights will link Sarawak’s capital to Sabah’s third largest city. AirAsia Malaysia CEO Riad Asmat was quoted in a press statement by AirAsia as saying “The Kuching – Tawau route is a testament to our commitment to further boost the connectivity in East Malaysia and to expand economic opportunities in both cities”. According to him, Tawau is gaining popularity among Chinese travelers and he is hopeful that the direct route would attract more visitors to both Kuching and Tawau in the near future. 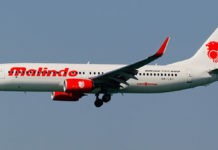 Aside from the Kuching – Tawau route, the Kuching is also connected by direct flights to Kuala Lumpur, Kota Kinabalu, Kota Bharu, Johor Bharu, Bintulu, Langkawi, Penang, Sibu, Miri, Shenzhen, Pontianak and Singapore. 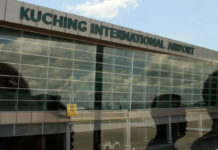 The addition of Tawau makes the airline fly to 13 destinations from Kuching. Flights on the Kuching – Tawau route would depart on flight AK6108 at 10:50AM with arrival at Tawau at 12:45PM. The return flight would be using AK6109 and is scheduled on 1:10PM from Tawau, with arrival scheduled at 2:55PM. The flights are on Monday, Wednesday, Friday and Sunday respectively. The promotional fares can be purchased from today until 14 October with travel dates allowed from 2 December 2018 until 26 November 2019. For more details, visit the AirAsia website. Yeayy..akhirnya ada jua flight direct..x lelah transit ke kk g..
Apa g nil..datang ctok g..